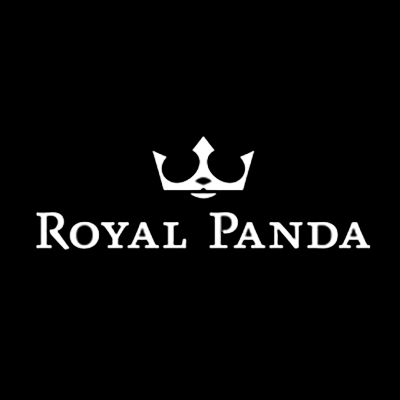 Having only launched in 2014, Royal Panda Casino is one of the newest kids on the block in the online gaming space. But don’t let the perceived lack of experience fool you into thinking that the platform suffers any form of major limitation. Far from it, this is a modern online casino whose main objective is to serve as an antidote to the numerous stale and mediocre gaming sites that only ride on their yesteryears’ glory. So, expect to find a platform that has learned from the mistakes that its competitors have committed over the years particularly concerning poor customer support, tired promotions offers, and a lack of transparency in their dealings. Royal Panda is popularly known for its fantastic selection of exciting casino games including several major progressive jackpot slots and generous offers including a 100% match welcome bonus. We know how important bonuses are for casino players. Anyone is encouraged to visit a casino that offers exciting welcome packages and many other bonuses and promotions. Luckily for you, Royal Panda does quite well on this area, click here to head on over to our review on Royal Pandas bonus offers to get all information you will need on how to take advantage of their bonus offers. For starters, new players can have a taste of one of its popular games – Starburst – even before they make their first deposit. Claim 10 no deposit free spins bonus to use on this game upon registration. Thereafter, get a 100% match up to $/€100 on your first deposit which means you can double your money and as a result significantly increase your chances of winning big at the casino. Of course, there are a few limitations imposed on the bonus. For example, you need to deposit at least $/€10 to be eligible for this match up welcome bonus. Additionally, Royal Panda sets the wagering requirements for the bonus at 35x which means you need to play with the bonus amount awarded to you 35 times before you can cash out any winnings made using it. What’s more, you have a maximum of 90 days before any remaining bonus amount expires, so try to wager it all within this period. Royal Panda also gifts you 10 extra free spins which again must be played on the NetEnt slot, Starburst – all winnings made using these spins are subjected to the casino’s standard wagering requirements. Finally, remember to check the platform’s dedicated promo page where exciting offers and promotions are published regularly. This includes the weekly Bamboo Bonus, Lucky 21 promotion for Blackjack fans, and claimable loyalty rewards among others. Like most casinos, Royal Panda provides a variety of payment options that you can use to either deposit or withdraw money securely. Some of the common methods accepted here include the usual credit and debit cards like Visa and MasterCard, popular e-wallets, and bank transfer among others. Worth mentioning is that the minimum deposit across all the methods is $/€10. Deposits are processed at no cost and accounts are credited instantly. Normally, withdrawals can only be made using the same method used for deposits; however, for options like PaySafeCard which doesn’t support withdrawals, payouts are made using alternative methods such as Fast Bank Transfer. 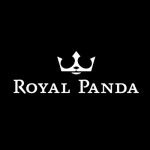 As is the case with most online casinos, Royal Panda doesn’t support Paypal. Royal Panda has one of the fastest withdrawal times for e-wallets methods with most transactions getting cleared within an hour of making requests. This means you won’t have to wait for hours to get hold of your money like is the case with a majority of online casinos today. Credit, debit cards, and bank transfers take anywhere between one and five days for money to be disbursed. This casino doesn’t offer cheques. Also, for security reasons, the finance department may require a few hours, usually between 0-24 hours before it can start to process your payment using your preferred method. The maximum amount you can withdrawal here is $/€50,000 per day. If you’ve been in the online gambling scene for a while, you’ve possibly noted that casinos share a lot particularly in terms of games available for players. The reason behind this is that most source these games from just a few popular gaming software providers, the biggest being Microgaming. We know that you’re tired of seeing the same offerings and would welcome the idea to try out a casino that stocks unique games offered by different providers. If this sounds like you, be sure you’ll find Royal Panda truly refreshing. Slots fans are the luckiest on Royal Panda as over 80% of the games featured on its modern lobby are slots. All games feature high-quality graphics, sound effects, and animations. However, what we loved the most about this platform is its split-screen feature which allows you to play up to four games at once. You won’t be required to download anything on this platform to play your favourite game. All you need is to open an account and begin playing on the casino’s website. You can also choose to play for money or just for fun. For the latter, just click on ‘Play for fun’ button which directs you to the demo version of the selected game. Practise your skills with these games before you can play real games for money. You’ll need to use a browser that supports Flash Player for the games to load. Once everything is working properly including having a stable internet, expect your experience here to be very smooth. If you like playing your casino games while on the go, you’ll be glad to know that Royal Panda runs a mobile-friendly version of its website that’s complete with its own games. Visit this casino to play the over 170 games featured here including slots, blackjack, roulette, and even live games. Some of these games are exclusive to mobile play. All games are instant play which means you do not need to download anything to play them. At present, Royal Panda doesn’t even offer any native apps for mobile devices but its browser based app allows for easy and quick access to games for players on Android and iOS powered smartphones and tablets. Blackberry and Windows Phones are not officially supported on this platform but it doesn’t cost you to try out playing the games and seeing how they perform. To get started on Royal Panda’s mobile casino, you’ll need to create an account or enter your login details. Another easier way is to scan the QR code you’ll find on this site. Once signed in, you will be able to access a selection of games, all which are optimised for your type of smartphone and screen size. Worth mentioning is that tablet users have a greater variety to choose from compared to their smartphone counterparts. All mobile games feature enhanced graphics and similar features like those found on the desktop website. Unfortunately, Live Hold’em is currently not supported for mobile play. Nearly all the bonuses and promotions we discussed earlier on in this Royal Panda review are available for mobile users including the 100% match welcome bonus and the 50% Bamboo bonus. Wagering requirements and other terms of service concerning bonuses also remain the same here. With the growing concerns about a lack of fair play and fixing claims in the online gaming world, the last thing you want to do is to play at an unproven casino that is without the necessary licences and security features. Luckily for you, Royal Panda is licensed by both the Malta Gaming Authority and the UK Gambling Commission which are two of the strictest and most reputable online casino governing bodies. Additionally, all games available on this casino are powered by an eCOGRA-approved RNG software that guarantees you a fair shot at winning. eCOGRA is a respected independent agency tasked with the responsibility of conducting random analysis of game results at various online casinos to verify integrity and fairness of games and payouts. Another area where Royal Panda is very keen on is online security for its user information and software. For starters, it employs a 256-bit encryption and a TSL 1.2 RSA key to ensure that all user data is kept completely safe and out of reach by unsolicited third-parties and hackers. The company has also sought IT security services from Comodo, a highly reliable internet security suite that’s developed Comodo Group. Finally, Royal Panda guarantees protection of minors (people under 18 years or any other legal age where it’s not 18) by prohibiting them from playing or accessing games available on its platform. The casino also works closely with GamCare with an aim to assist players struggling with gambling problems. Royal Panda’s customer support team can be reached through several channels namely live chat, contact form, phone, or email. Use any of the four ways to get answers to your queries or clarifications where needed. Unfortunately, the customer service is not available 24/7 and this is an area we’d like to see them improve on. Nonetheless, their live chat response rate is generally commendable as long as you contact them within their business hours (8 am to 11.30 pm GMT). You can also connect with them via email ([email protected]) or phone number (00356-2778-0418) for quicker exchanges. Perhaps what stood out for us here is the call back service whereby you only need to leave your number and a rep will get back to you as soon as possible. We thought this was an ingenious alternative to the painfully long waiting times on the line as is the case with a majority of online casinos. We also found their reps to be very welcoming and knowledgeable on most casino topics that we inquired about. Would we recommend Royal Panda Casino? Absolutely. This is an operator that has put a lot of effort in bringing together one of the largest online game libraries you’ll find anywhere today. What’s more, the website is modern and responsive which makes navigation and access to games quite seamless. The split-screen function is another standout feature that gives this operator a unique image. Of course, our goal has always been to provide our readers with fair and balanced reviews which is why we’re never shy to criticise or point out glaring weakness of each casino. For example, we’ve already mentioned about the importance of introducing a 24/7 customer support. We’d also like to see Royal Panda offer more solid bonuses and promotions – the 100% match welcome bonus is particularly quite not appealing enough to high rollers. All in all, this is a fantastic platform so consider checking it out.